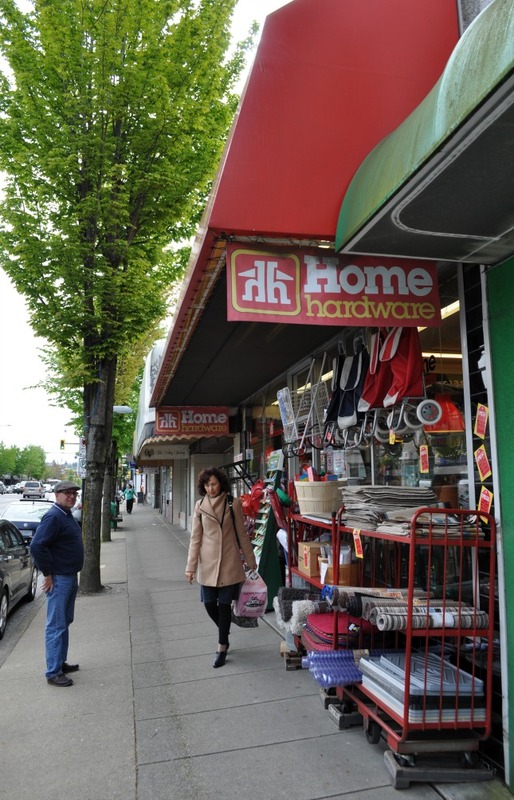 At the suggestion of a Fraseropolis.com reader, I returned to Burnaby Heights this past week, five years after my first visit to the community. 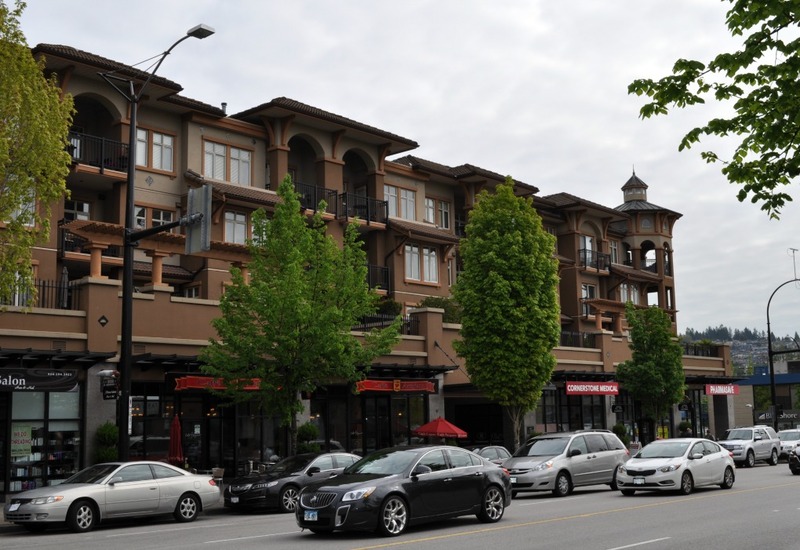 Hastings Street in northwest Burnaby is the city’s most interesting commercial strip, with an array of ethnic food outlets, cafes and specialty shops. The urban trees have grown up quickly, providing cover for architectural flaws. The border with the City of Vancouver is just blocks away, with frequent bus service to downtown. 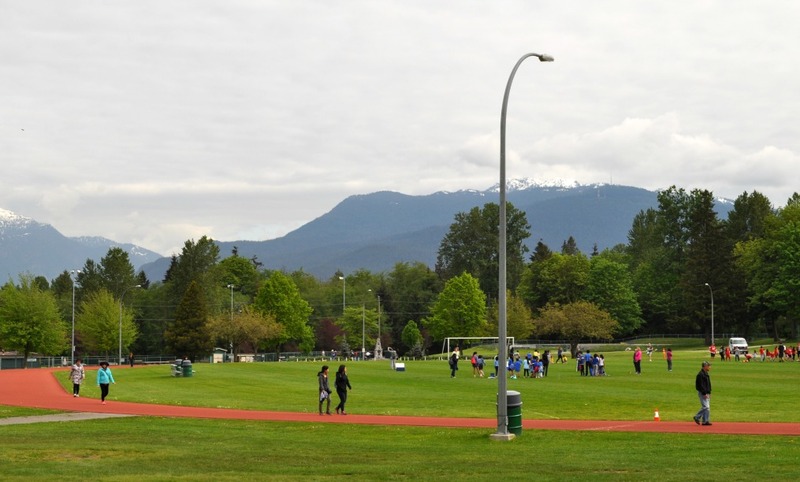 Burnaby’s city government has laid on excellent services such as playing fields, an aquatic centre and a big library. All this makes a great foundation for an urban village, if you’re prepared for the heavy traffic and noise as you shop or stroll. The direction for the future is clear. Older one-storey commercial structures on Hastings are disappearing, replaced by low-rise complexes with storefronts below and three floors of apartments above. The former Royal Canadian Legion property is newly vacant, along with much of the north side of Hastings between Rosser and Willingdon, including the site of the old Dolphin movie theatre. As with other high streets in a region where there’s extreme upward pressure on property values, we have to wonder whether any locally-owned retail business can survive this transition. 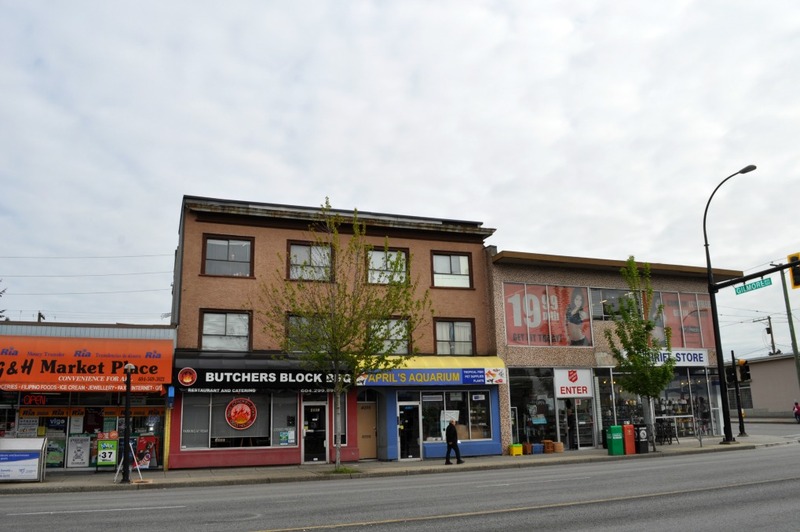 As I noted in my 2012 post, the designated Burnaby Heights development area is long and skinny. This can be observed on the ground or picked up from the City’s development plan. 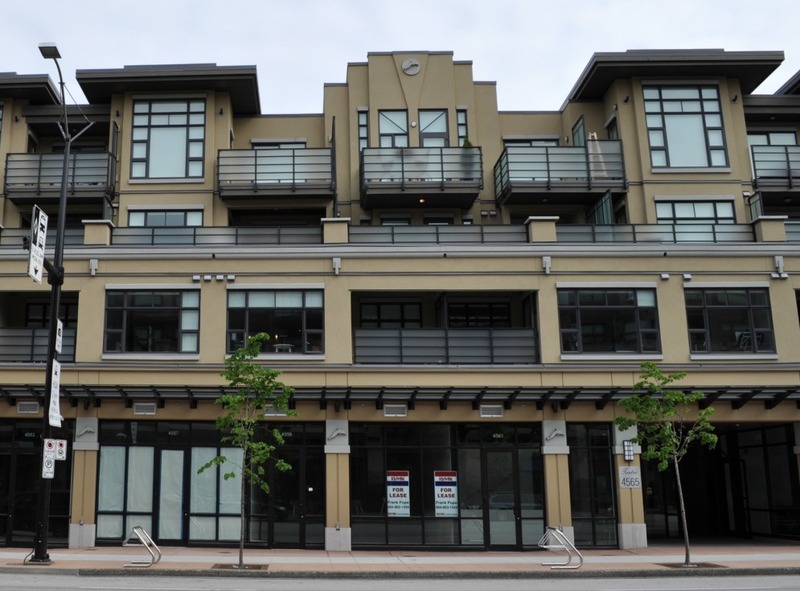 You’ll see evolving mixed use along Hastings Street from Boundary to Gamma. Albert Street, running parallel to Hastings one block to the north, provides densified housing that will help to support storefront business, although none of it is new except for a few duplex houses. Several rental apartment buildings from about 1970 are in decay. 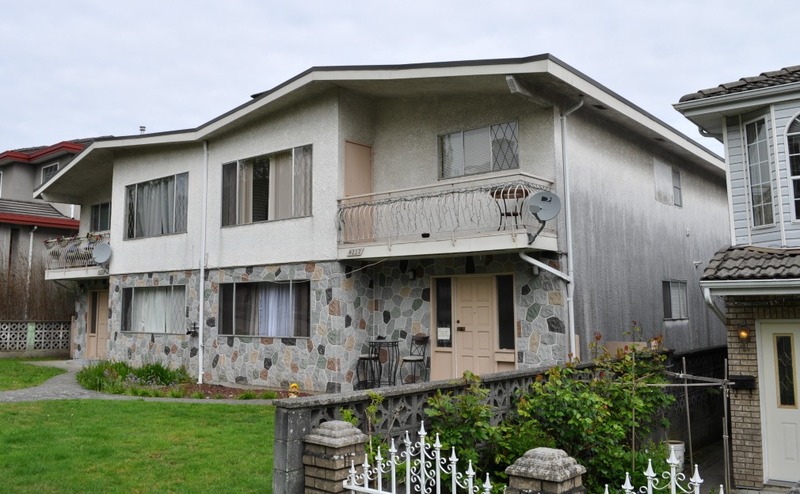 South of Hastings and north of Albert, the City of Burnaby appears to prohibit the construction of anything other than detached houses, although there are doubtless a growing number of secondary suites within these houses. To sum up, there is less housing choice in this otherwise attractive urban village than there could be, unless you’re interested in renting a basement suite or purchasing a five-bedroom house for a price of two to three million dollars. 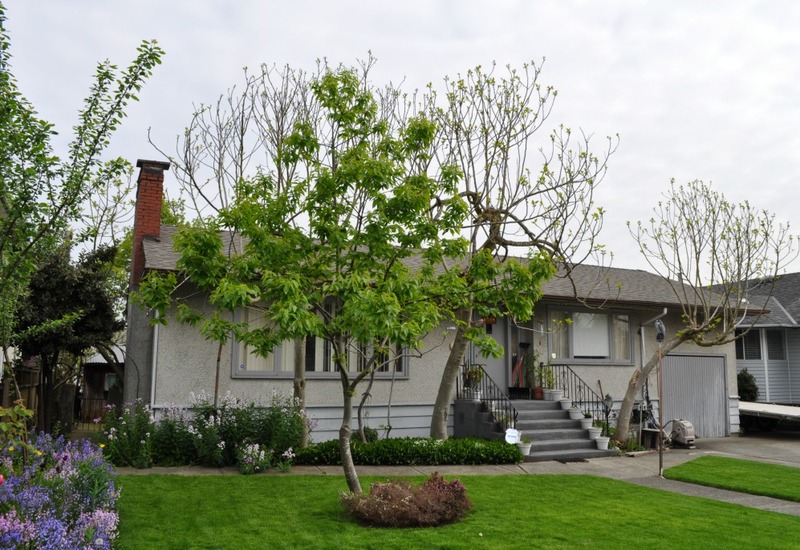 Fewer than 21 per cent of dwellings in Burnaby are single detached homes, meaning that all others are either apartments or attached houses (i.e. duplexes or townhomes). The city government clearly accepts the demand for apartments, but is stacking them in highway-oriented towers (see my post on Brentwood Centre) rather than low-rise buildings in the neighbourhoods. 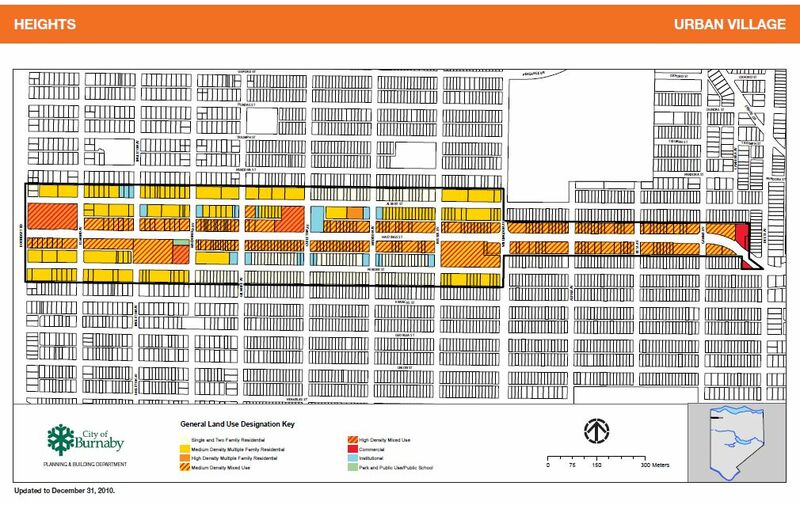 Feel free to correct me if I’m mistaken, but Burnaby Council appears determined to view the city’s broad tracts of single-use housing as a privileged ecosystem. Co-tourist R.J Smarz and I had breakfast at the Chez Meme Baguette Bistro on Hastings Street. It was charming.